The Dickensian tale given the pantomime treatment by Alistair Clinton and David Pibworth. The mean Ebenezer Scrooge is visited by the Ghosts of Christmas Past, Present and Future who try to persuade him to mend his ways! 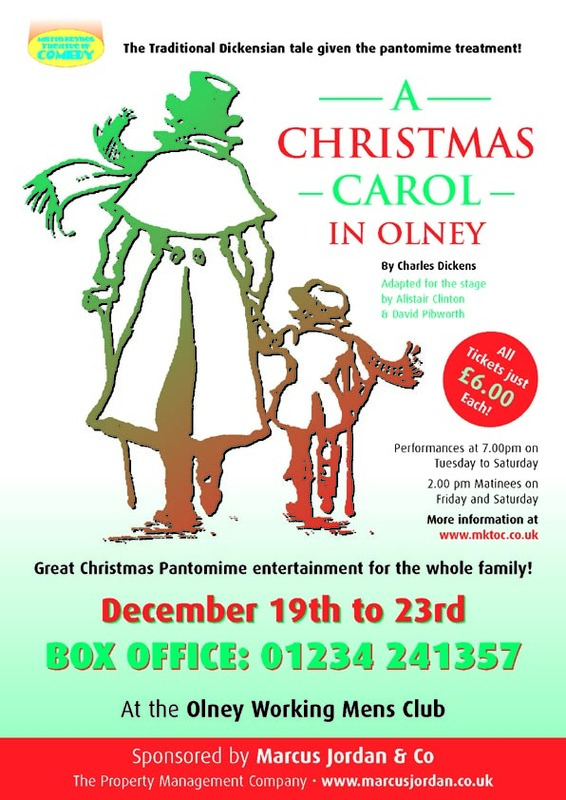 Featuring a host of familiar characters including Bob Cratchet, Jacob Marley, Charles Dickens (as the Narrator) and of course Tiny Tim! Songs, slapstick, silliness and spectacle combine in this hilarious show, especially adapted by MKTOC for performance in Olney, packed with topical jokes and local references! Evans the Butcher – Himself!